Flowers, antique china, and tea cups—oh my! Lindsey’s Bridal Shower was truly a labor of love. Her sweet mother and dedicated aunt (all the way from upstate New York!) had been drafting the vision for this event for months before we had the pleasure of working with them. As a little girl, Lindsey hosted tea parties with her grandmother—the inspiration behind this thoughtful event—and as a bride-to-be, Lindsey got to celebrate alongside close friends and family, with plenty of tea! We broke out our Depression-Era glass to serve the food, and all of the dishware was supplied by the family. Guests streamed in from the cold weather, greeted by the warmth of old and new friends (and the soup, coffee/tea, and dessert bars, of course!). 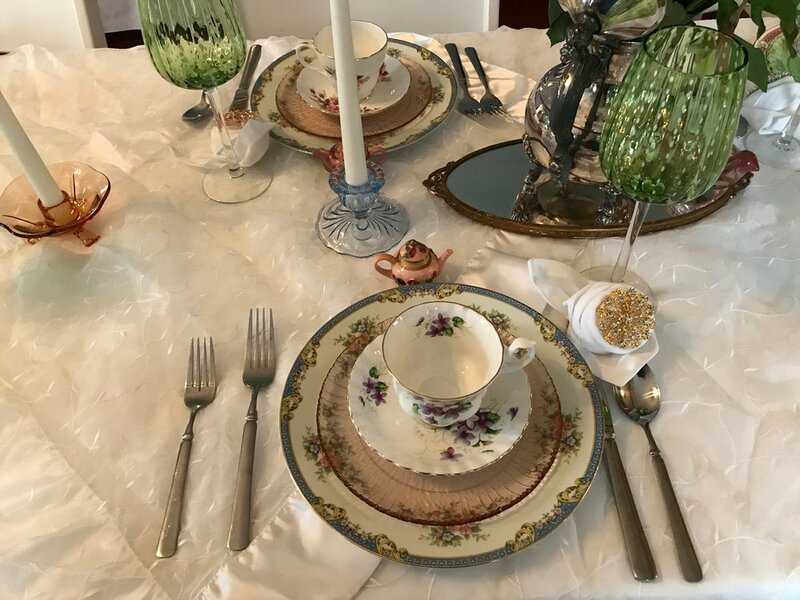 The table was complete with individualized place settings, antique broaches and trinkets, and silver teacup flower arrangements. Recipe cards were placed on a tree for the sweet couple to share years from now, and each guest got to take a mini teacup and the unique teacup set that completed their place setting. Every detail of this event was thoughtful and unique, but don’t take our word for it—check out all of the gorgeous details below. We were truly honored to be a part of this special celebration! 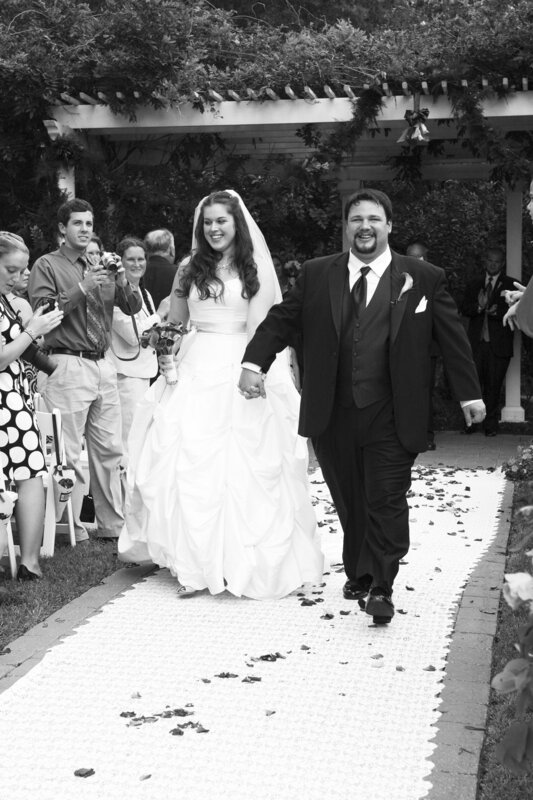 The Berneches got married here ten years ago, and came back to renew their vows and celebrate. 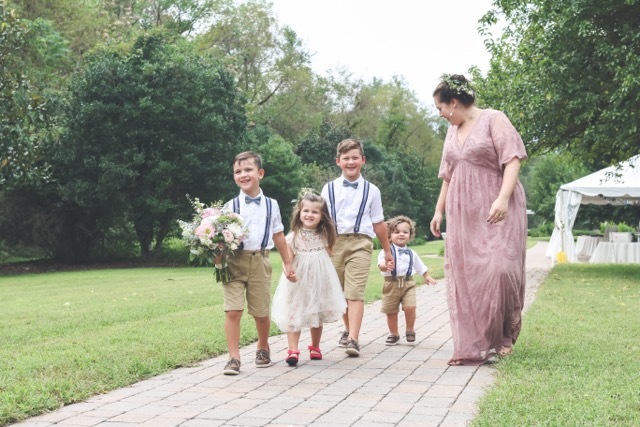 Amanda was escorted down the aisle with their four children this time around—and yes, it was just as adorable as it sounds! Guests spread out throughout the gardens, playing yard games and enjoying each other’s company by willow and magnolia trees. 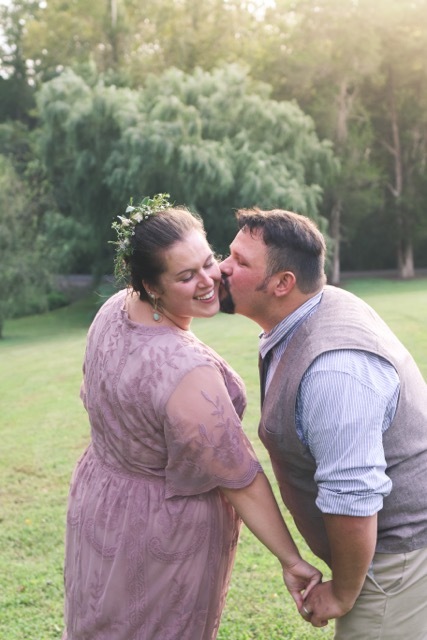 The atmosphere was filled with love and laughter, and it was very clear that these two are just as in crazy for each other as the first time they said “I Do” at Dellwood! April showers were no where in sight for this sweet baby shower to celebrate baby girl Arico. 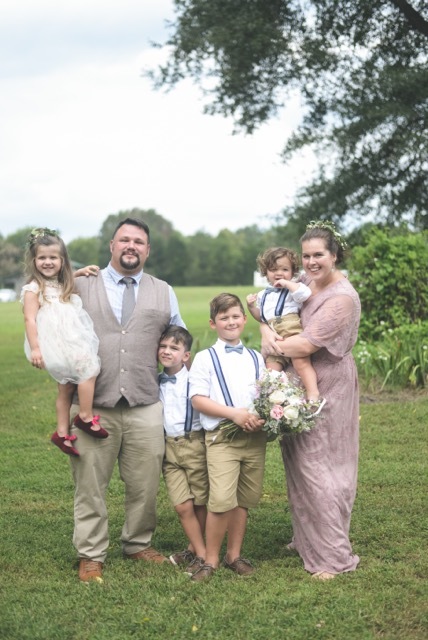 This family poured love into every detail of this gathering, and they effortlessly weaved the lemon theme throughout the centerpieces, sweet treats, games and favors. The "Mom-osa" Bar was the perfect refreshment for the sunny, breezy weather. Baby showers are one of our favorite events to host at Dellwood! And we are so glad we got to be a part of this one. Over the past 17+ years, we have seen so many trends, visions, and decorations--it's hard to keep up with them all! And although all Dellwood couples are special to us, Kim and Eric's wedding will always stand out in our memories. 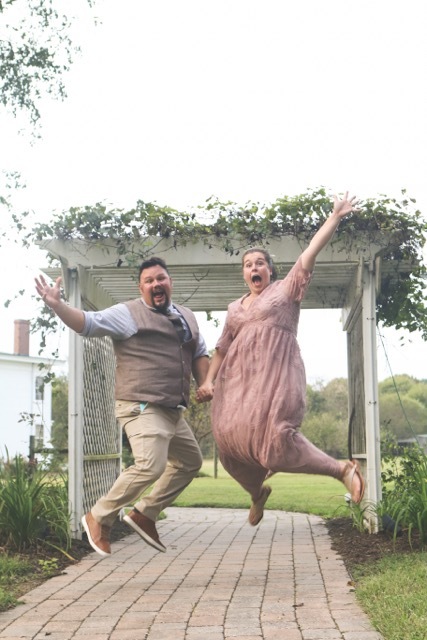 Just a little under a year ago, this fun-loving couple began their married journey together, and now we are reminiscing on their beautiful bohemian-inspired day! Every detail fit perfectly with their theme, colors and personalities, coming together to make an unforgettable celebration with their family and friends. Fall in love with this fall wedding, just like we did! We love this fun, fresh take on ceremony decorations! You can see the love radiating between them! The Manor House is the perfect backdrop for this candid shot. Our willow trees, and bridge in the background, perfectly compliment this bridal party shot. Mini pies for guests--so playful and fits perfectly with the vibe! We're not sure what we love more: the live band or disco ball! Sweetest shot of the night. 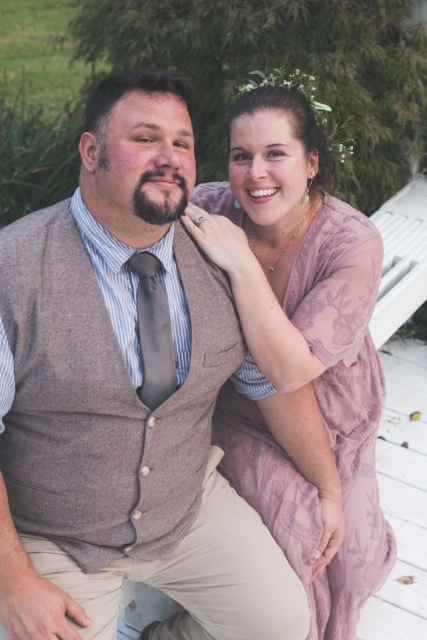 This sweet couple truly got the best weather that Virginia has to offer! The skies were blue with wispy clouds, and the sun set behind the blooming flowers, green grass, and romantic lighting throughout the gardens. Dellwood was the perfect backdrop for the elegant yet rustic decorations, accompanied by gorgeous bouquets and cowboy boots. This is one of our favorite weddings to reminisce on! Butterflies fill your stomach; you're certain you've found the one. After learning their favorites and special quirks, you decide to spend the rest of your life together. Soon, your special night passes in a magical, blissful blur. Likely there's a honeymoon, but other than that it's rare to have another time dedicated solely to you and your partner. That's why anniversaries are so special; it is a chance to celebrate you and your spouse, your love, and your future. To make your partner feel as special as they did on your first date, wedding night or honeymoon, you have to find the right gift! Think of tasks or hobbies you enjoy doing with your partner, whether it be as simple as making dinner or as thrilling as sky diving. Is there something that would help you two complete this task easier or more enjoyably? What about something that you two have been saying you've needed for a while? Let's say you enjoy cooking together! Gifts like the cutting board above are great to remind your partner that you not only love them but love spending time with them too. What are some things you admire about your spouse? Or some of their hobbies? Giving a gift that is tailored to their interest is a great way to show your spouse that you support them. These silicon rings pictured above are the perfect gift for an athletic spouse, even if you don't love the gym yourself! If you're a wine lover and they prefer whiskey, consider getting them a membership to try a new whiskey every month. Maybe you are allergic to cats but they've loved them since childhood, then give them the gift of a donation to a feline rescue center. Remember, the objective is to show you appreciate their interests even if you do not share them! Gifts that are centered around memories definitely stand the test of time. Scrapbooks filled with pictures, trinkets, and stories of the past are a great way to celebrate. Your partner would love a gift that reminds them of your wedding day, like this Night Sky printing above. Some other thoughtful ideas include recreating your first date or a bouquet of the same kind of flowers from your wedding. Adding greenery, like eucalyptus and succulents, is an easy way to add whimsy and polished simplicity to your special day. Many trendy brides are opting to replace the traditional table toppers with long garland pieces. Using both eucalyptus leaves and a variety of succulents makes for a elegant yet trendy table setting. If you prefer having a flower arrangement, consider adding succulents and other greenery for full, modern table settings. Bouquets are another great place to implement this greenery trend. You could stick to the basics, using different kinds of eucalyptus leaves with a succulent or two, or push the limits, adding cacti and tillandsia instead of your usual succulent choice. 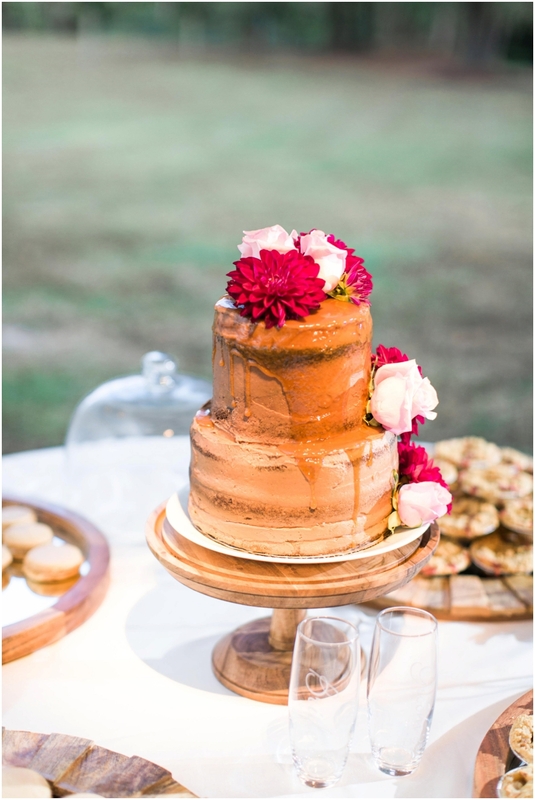 Greenery has been used on cakes for years, and adding succulents or eucalyptus is a way to reimagine the tradition. Succulents and eucalyptus make the perfect addition to any modern wedding! How do you feel about this modern yet timeless trend? Months of planning. Everything is perfect in every way. You somehow scored the best photographer, DJ, Caterer, Florist, Venue and Wedding Planner. Your out of town family that you just knew wouldn't be able to make your special day has pulled the right strings and suprised you with an RSVP of "yes"!! And the perfect guy you've waited so long for is right beside and you both can't wait for the big day. Nothing could go wrong. Until it does. You wake up in wedded bliss the morning of your wedding to look out the window and kiss the sun......er......rain??!! Yep. Mother Nature has decided to betray you on what's supposed to be the best day of you life. Her wedding gift to you is a nice downpour. So what do you do? If there is no rain back up plan or indoor facilities you do what every self respecting bride would do. No, you don't panic. You roll with it! First make up your mind This will still be the happiest day of your life. No matter what. A great attitude will make all things light. Send your MOH out to grab so cute matching umbrellas and rain boots. Call the venue, they will help you handle the rest. And remember, you get to marry the love of your life today even if you have to do it barefoot and soggy! Trends come and go. Year after year we go out with the old and in with the new. One trend that hasn't ever gone out of style is the much coveted Saturday wedding. It's the perfect day, right? Smack dab in the middle of the weekend. Relaxed Friday night rehearsal and dinner and then the big day on Saturday. As we know it is an all day event! Then Sunday makes for the perfect rest and recovery day. So why all of a sudden are Sunday weddings all the rage? Many frown upon a Sunday wedding as it totally distrupts the whole Friday, Saturday, Sunday wedding weekend ritual. Many, on the other hand, look at these Sunday wedding opportunities as their saving grace! For starters, most venues offer a Sunday discount. For many on a budget that's huge! Other times the venue that the couple falls in love with may not have any availability for Saturday left on the calendar for the year. Some couples, believe it or not, had a Sunday wedding planned all along! Whatever the reason you may choose Sunday to celebrate this lifelong commitment to the one you love, keep a few things in mind. This is your day. Your friends and family will accomodate. Also you set the mood. If you want everyone to have a great time and dance the night away then kick off your shoes and they will too! Make memories that you and your guests will never forget. No matter what day of week you choose! Style is important, right? Absolutely! So why would choose any other way to plan your biggest day than by adding your own unique stye?! First things first.....what is the style you wish to portray for your wedding day? Do you love the rustic barn theme or a romantic shabby chic with pink and lace? Maybe something simple and clean cut or even very elaborate with flowers galore and eye-catching decor in every spot is your thing. Maybe you always dreamed of a formal wedding complete with china and crystal. Whatever your dream is, however decorative or simple, knowing your style preference can make for a much easier planning experience. If you already know the style you wish to accomplish then choosing your venue, dress, flowers, cake, etc will be so much easier to narrow down (being there are way too many choices and not enough time!) if you know exactly if it will tie into the vision you've chosen for your wedding day. The sky is the limit so get out there and let your style fly! We know that choosing all the right things for your wedding is a must. From the perfect venue to the best DJ and Photographer. And of course you must choose the most select caterer and the one and only bridal gown. Don't forget deciding which of the important people in your life will stand with you on your big day. So many decisions! So what do you do when the friend most important to you is.......your dog?? He's the one who has been the most faithful. The one who sat by your side to comfort after you lost your college sweetheart. The one who stayed up with you when you were the new girl in the big new city. The same one who doesn't care if your teeth are brushed or your hair is fixed. This is a dilemma for many believe it or not! So what do you do?? You give him a bath and put on a tux (or a tutu) and you show him off as you would anyone else! Don't overlook your furry friends as they tend to be the most loyal. Hey, he's already having to share you with the new love in your life so go ahead and give him time to shine. Woof!! It's that time of year AGAIN?? Making a list and checking it twice, all the while you're wrapped up in lights!! So much to do for the big night, cooking and shopping oh what a fright!! While the holidays truly are wonderful for spending time with family and friends and making special memories, there is always so much to get done!! Let's take a moment and imagine that you are also planning a wedding in the midst of the hustle and bustle. Crazy!! I know, right??!! Here are a few ideas that may help ease your planning so that you don't become a Scrooge this holiday season. 2. Much of the work is already done so pat yourself on the back. You've made it this far. 3. Make sure you've contacted your vendors to finalize so that there are no suprises. Then let them do their job so you can focus on your own tasks and the holiday. 4. Remember......you are planning your big day. Spend time with your loved ones who want to help instead of worrying about what gifts to buy. Time spent is way more valuable than a gift purchased. 5. This is not the year to throw your annual holiday bash. Friends will understand. They will also understand that with all the planning you have to do there is no way you can make it to every party you are invited to. So don't beat yourself up! There will be many parties to enjoy with your new hubby in tow. 6. Lists are important. Make lists of everything from bridal party fittings to gift giving. And then follow thru. 7. Take some time for you. Soak in a hot bath, snuggle up with your favorite novel by the fire, or go get a relaxing massage. Whatever relieves your stress and clears your mind. Just do it. Things will all come together. Hi Everyone! We're so excited to announce our upcoming Dellwood Plantation Fall Vendor Showcase event. All brides-to-be and their friends and family are welcome to visit the plantation on Saturday, November 19 from 11 AM - 3 PM to meet and greet with a whole host of vendors who can help make planning your wedding a breeze, whether you are getting married at Dellwood Plantation or not. And, that's not all - we'll also have food, wine and music to make it a great fall day at the plantation. We hope you'll join us for what is sure to be a wonderful day to mix and mingle with vendors offering everything from: Catering, Sweets & Treats, Gifts, Flowers, Stationary, Photography and Videography services. You won't want to miss it! RVSP today so we can expect you! Thank you! Looking forward to seeing you at the vendor showcase! 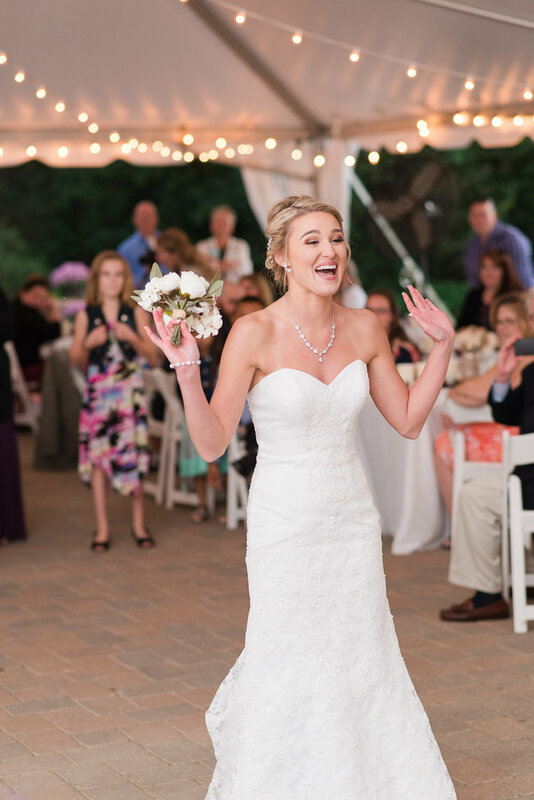 There's something about a June wedding at Dellwood that makes us smile from ear to ear! The weather is beautiful, the grass is green and the flowers are in full bloom. These two had one such beautiful day in June as they said their vows in front of family and friends. Enjoy these photos from Photography by Stacey. 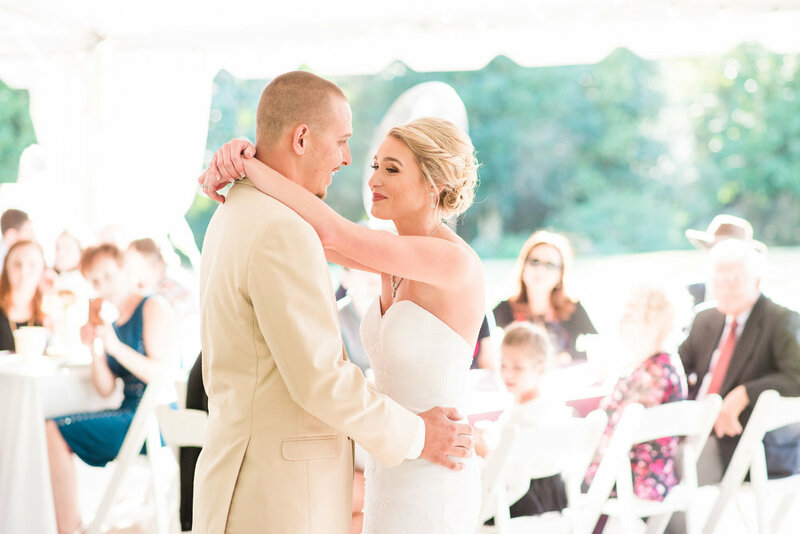 We love spring weddings at Dellwood, and Emily and Michael's May wedding did not disappoint. Their wedding day was filled with lots of family & friends, joy & laughter, and PINK! We absolutely enjoyed the day at the plantation with Emily and Michael and hope you will too with these images from Photography by Stacey. It’s no secret that planning a wedding involves the coordination of so many things - from the big items like venue and guest list to the smaller details like programs and table numbers. While all of the details are important, one item that is often left to the last minute is planning the specifics of your wedding ceremony. Although you might be thinking “What? No way is that true,” chances are that you are not fully aware of all the decisions that you need to make regarding your wedding ceremony. Below you’ll find a complete how-to guide for planning your wedding ceremony. We understand that not all wedding ceremonies will be created equal and there may be specific religious requirements, but we wanted to share a list of general guidelines for how to personalize your wedding ceremony. Rabbi, priest, pastor, justice of the peace or friend who has been ordained online, no matter your preference, the first step to planning your wedding ceremony is to decide who is going to marry you. If you have a priest, pastor or rabbi from your church or synagogue, you may want to start there. However, if you don’t have anyone in mind or are getting married out of town, you’ll need to find someone to do the honors. Sites such as Borrowed and Blue and Thumbtack, or Richmond Weddings locally, provide listings of wedding officiants. Each faith and officiant conducts marriage ceremonies differently, although many of the basic components remain the same. Schedule a meeting with your officiant to have them talk you through the basic marriage ceremony that they perform. During this meeting and discussion, they will share the various things you can do to personalize the ceremony including music selection, adding a reading, special ceremonies, prayers, etc. as well as the order of events within the ceremony. Prelude, light, ambient music that is played while guests are being seated and waiting for the ceremony to begin. Processional, music that is played to accompany the entrance of family, groom & groomsmen, bridal party and the bride. While it is ok for one song to be played for everyone, it is not uncommon to have a different song for each group. However, the most common is to have a single song for the seating of the mothers, entrance of the groom and bridal party, with a different song for the bride’s grand entrance. In addition to the above song selections, some couples elect to have a musical selection performed live during the ceremony as well. It's really up to you to choose the music that best fits your style for your wedding! While mostly all marriage ceremonies are pretty standard overall, some officiants give you the opportunity to choose which version of the marriage ceremony you want - formal, non-denominational, etc. And in some cases, you may elect to exchange your own personal vows. By working closely with your pastor, priest or officiant, you’ll be able to make the best choice for your ceremony that fits with your beliefs. One thing that most people don’t tell you is that the ceremony is one of the best parts of your wedding day. If you don’t decide to do a first look, for most couples, it is the first time you’ll see your significant other on the day of the wedding. While the rest of the wedding will go by in a blur, take the time to savor and enjoy the moment where you and your significant become husband and wife. Because after all, isn’t that what the day is about anyway? Have any other advice or tips that we missed that would be helpful for planning a wedding ceremony? We’d love it if you shared them in the comments below! When planning the details of your dream wedding, chances are that flowers are one of the main items you’ve considered for your list of items you need to complete your big day. It’s ok to admit that you’ve spent more than a few hours day-dreaming about your bouquet, centerpieces and ceremony floral arrangements. Wedding day flowers can be a key detail to complete the overall look for your wedding theme. However, we completely understand that if you’ve checked out Pinterest lately for inspiration and shared them with a florist (or have yet to do so! 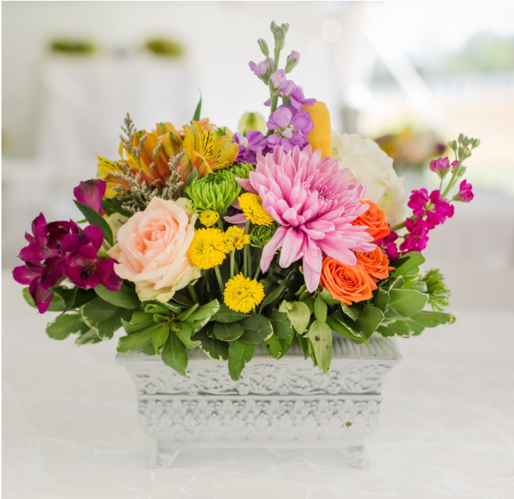 ), you’ll quickly realize that your flower budget doesn’t actually align with your vision. Don’t lose hope! We’re here to tell you that there are many ways to have flowers at your wedding without breaking the bank and going over your budget. With these tips, you’ll be able to navigate the appointment with your florist to best work together without sacrificing your vision. If you are trying to keep things budget-friendly, choosing flowers that are currently in-season for your wedding date is a must. Why? 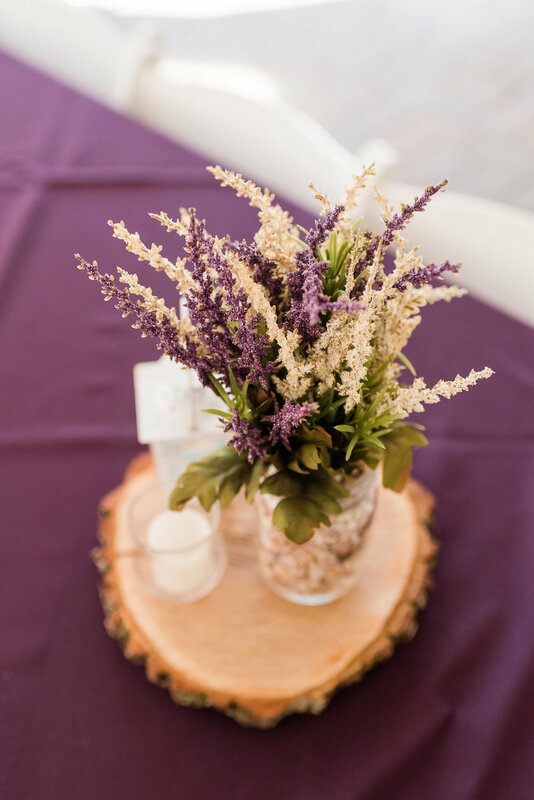 Florists work directly with suppliers and flowers that are in bloom for the season and location of your wedding date will be more readily available vs. flowers that must be custom ordered from a specialty grower or another part of the country where they are in season. If something has to be custom ordered, it is a safe bet to assume it will be pricey. When starting to work with a florist on a quote for your wedding, make sure you ask for a list of flowers that will be in-season on your wedding date that will help to keep costs down. What flowers are in season on my wedding date? Are there any flowers available in which price doesn’t change by the season? While there isn’t a bride alive who doesn’t love peonies, if you aren’t having a spring wedding, you will most likely be paying a premium per bloom. However, there are other flower varieties that can give a similar look and feel for less including certain varieties of garden roses and ranunculus to peonies for example. If you aren’t sure which varieties can give a similar look for less, work with your florist to help identify ways to reduce costs without sacrificing a look or style. Which flowers are a good alternative to the blooms in my inspiration photos that can help reduce overall costs? If you are looking for ways to reduce costs within your flower budget, make a list of priorities. For example, perhaps you can splurge on your dream bridal bouquet with all of the exotic and pricey flowers you desire while reducing overall cost of bridesmaid bouquets by reducing blooms or selecting complimentary flowers that aren’t as pricey. Other ways to save on your flower budget is to reduce the total number of arrangements. 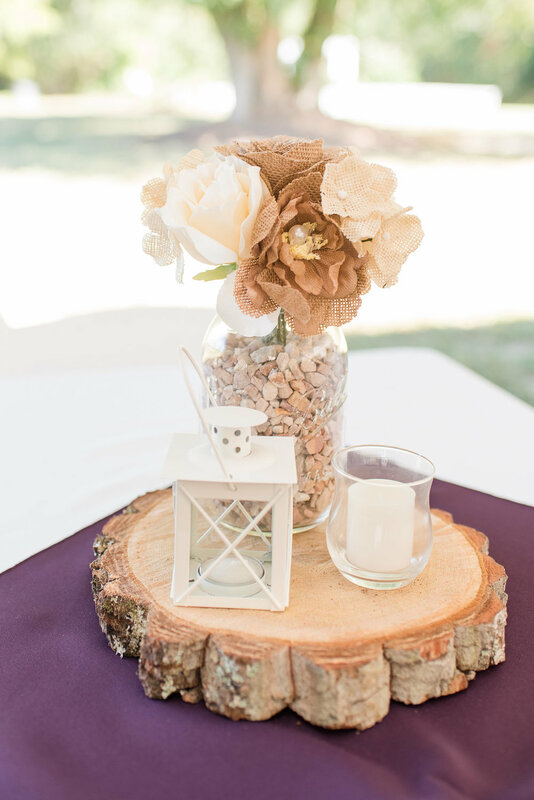 Consider alternating floral centerpieces with candles or opting out of ceremony floral arrangements if your ceremony location doesn’t need much dressing up. How can I make the biggest impact with my wedding flower budget? Can you itemize each item on the quote so I can make decisions to fit my budget? Do you have any suggestions for how to best meet my flower budget? If you are really trying to reduce costs, are there some items you can do yourself for your big day that won’t have too big of an impact to your stress level or timeline. Most florists will allow you to purchase flowers by the stem and/or bunch based on quantity. So, if you have a plan to do simple centerpieces of bottles with a single bloom in each, that’s easily something that your wedding coordinator, mom or a friend of the family can put together the morning of the wedding. Pinterest is of course a great source of inspiration. However, a word of caution - don’t over extend yourself. There will be more details and last minute requests of your time and attention the week before and the morning of your wedding than you anticipate no matter how organized you think you will be. 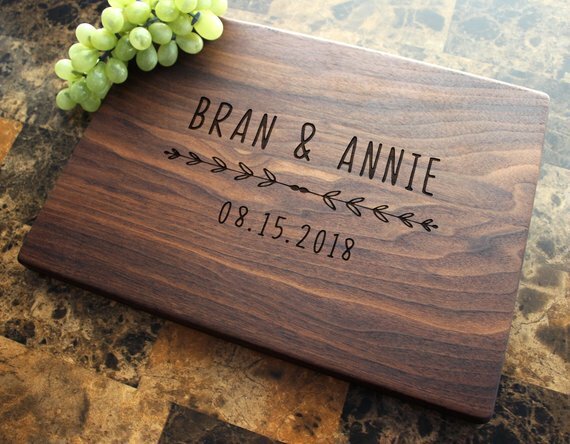 You want to be sure that you can enjoy the time leading up to your special day, so be sure to consider the time and effort it will take for DIY projects and if they are really essential to the day or worth the money saved in the long run. Also, be sure that you don’t offend your florist by insinuating that you can easily do her job. Do your best to explain that you are trying to cut costs and want her input on what projects you may be able to tackle yourself and get her advice along the way if needed. Do you sell individual flowers or bunches of baby’s breath? Do you think this is a project I can easily do myself? Do you have any tips for how to easily complete this project? The most important thing when trying to reduce your budget when working with a florist is to be transparent and open about your budget and your expectations from the very beginning. Most florists will ask you for your budget during the initial consultation, so be honest when answering them to set expectations from the get-go. Understand that they are not asking to judge you or over-sell you (although there may be a few exceptions), but simply trying to understand if your budget aligns with their ability to meet it based on your desired vision and number of items required for your wedding day. You should view your chosen florist as your partner in creating your vision for your dream wedding, we promise it will pay off for everyone in the end. At Dellwood Plantation, we love to work with a variety of vendors to help our couples create the wedding of their dreams at our venue. View our preferred vendors list for our recommended wedding vendors. A common saying you may have already heard if you are planning your wedding is this “Their wedding, your marriage.” It is a common saying to help brides and grooms navigate the wedding planning process as it can often be challenging (to say the least!) with the various family, friends, etc. who want to have input in your wedding. You’ll never make everyone happy, so our advice? Brides and grooms should work together to plan the wedding of YOUR dreams - the wedding that will make the two of you happy and best reflect who you are as a couple. Understanding that it is often easier said than done to ignore requests from key family members, we’ve pulled together a list of tips to help you plan YOUR dream wedding and (hopefully!) reducing the number of issues along the way. Once you get engaged, the questions will start immediately! When’s the big day? Where will you have it? Am I invited? As a couple, discuss your “have to haves” and “nice to haves” for your wedding to get on the same page prior to starting to look for a venue or location. Discuss particulars such as indoors our outdoors, tent or no tent, ballroom or barn, backyard or vineyard, mountains or beach. Getting on the same page about the type of venue and location will help set the stage for the rest of the wedding. Do you want an intimate wedding with only close friends or family, or do you want to have a big wedding celebration with extended family and lots of friends? Do you want an informal outdoor ceremony or an elaborate ceremony in your family church? Without a clear vision, it will be easier for others to try and insert themselves and their opinions for your wedding. If you are finding yourself with an overly opinionated mother or mother-in-law to be, try delegating specific tasks so they feel a sense of ownership over the decisions. For instance, tradition states that the groom’s parents host the rehearsal dinner. Why not turn over all of the planning to your future mother-in-law? Chances are that she’ll love the autonomy to make decisions but will most likely ask for input too. You can also engage other key family members and friends with specific tasks along the way such as key vendor appointments like cake or food tastings, or help with hotel welcome bags or favors. By delegating tasks or asking for specific assistance, you’ll give each person a purpose and focus, which means they will be less likely to focus on other details. During the wedding planning process, it is so important that as a couple, you are both on the same page about the details for your wedding day. This helps reduce misunderstandings among family and friends. So, when requests or questions come up, such as why can’t kids come to the wedding or can Mary bring her boyfriend of 2 weeks, either one of you will be able to answer decisively. However, if something comes up and you aren’t sure what to do, be sure to discuss it with your fiance. Sometimes a request or suggestion will be shared with you, and honestly you don’t really have a strong opinion either way about including it within your wedding day. In those cases, learning to compromise and go with the flow will go a long way to make a key family member or friend feel their opinion was heard. For example, if your mother thinks printed programs are an absolute MUST but you could go either way, it is probably easier to print programs and let her win that battle. That way, if you are strongly opposed to another suggestion in the future, you’ll have your ammo saved up to fight and win. Hiring a wedding planner can be the an excellent way to to have an unbiased third party in the mix to help you make key decisions for your wedding day. A wedding planner is a professional with years of experience planning weddings, so they have most likely seen it all when it comes to dealing with difficult family members or delicate situations. Lean on your wedding planner to help with communication to invested parties as necessary - let them be the bad guy! The bottom line? There is no “right way” or “wrong way” to plan the wedding of YOUR dreams, as your wedding should be as unique as you are as a couple. By having a clear vision for your day and plan to make it happen, all you have to do is stay firm in your must-haves and learn to choose your battles wisely to ensure a smooth wedding planning process for everyone involved. With over 15 years of weddings under our belt, we know that it can sometimes be challenging to navigate family dynamics. We work with our brides and grooms to ensure a flawless wedding day. Contact us to schedule a tour of the plantation today.